After series 3 opener The Empty Hearse, episode two, The Sign of Three, continues Sherlock’s enormous self-confidence as a programme while showing Sherlock the man at the most uncomfortable we’ve ever seen him as he takes on Best Man duties at John Watson’s marriage to his beloved Mary Morstan. Delivered with the most frantic of styles, The Sign of Three centres around Sherlock’s Best Man speech intercut with flashbacks to the wedding planning as well as a number of old cases, including the literal “elephant in the room”. 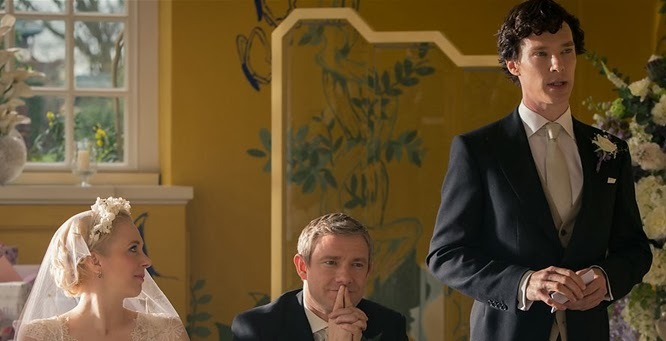 There is also, quite fittingly for a wedding where Sherlock is present, a murder about to happen that needs to be resolved before the DJ takes over for the “night do”. 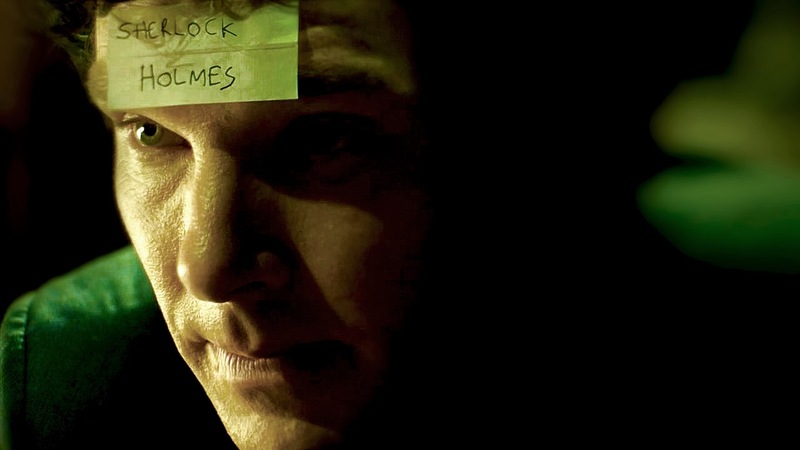 The writing, direction and tone of The Sign of Three has divided critics and fans more than any episode of Sherlock so far. Here at #srcz we love The Sign of Three for all its mad, choppy direction and its focus on the Sherlock/John bromance. It is like having an old suitcase overstuffed with goodies – all crammed in, and not one of which you’d want to leave out. We have the most awkward, but ultimately moving, Best Man speech ever committed to the silver screen as well as the best depiction of a drunken stag night à deux we can remember. The direction and acting here – Cumberbatch and Freeman play excellent drunks – leave you swooning while you do an actual laugh out loud. The wedding planning flashbacks are wonderfully done and Amanda Abbingdon gives such a lovely turn as John’s fiancée, Mary, that you feel she must have been part of the show form the start. Far from being an awkward third wheel, Mary is a welcome addition to a cast that already felt as tight-knit as they come. But back to the wedding: As Sherlock’s interminable and wince-making speech flashes backward/forward/present to the case of the invisible man in the locked room and that of the Mayfly Man, he’s hit with the realisation that a murder is about to happen and he must solve it before it happens. Of course, this is one episode where – if you’re paying attention – you can guess who the victim is before Sherlock does and it’s even possible to guess the who and the how. But that doesn’t detract from The Sign of Three’s enormous agreeableness at all. Cumberbatch’s interactions with Mark Gatiss as Sherlock’s brother Mycroft Holmes and with Yasmine Akram as Chief Bridesmaid Janine – “Can I keep you?” - have some of the best chemistry in an episode packed with the stuff. There are so many little treats in the midst of a chock-full story, from a sizzled Sherlock’s “I’ll just whip this out” to the source material related dwarf with a poison dart, that it’s well worth watching The Sign of Three all over again just to catch the bits you missed first time round.